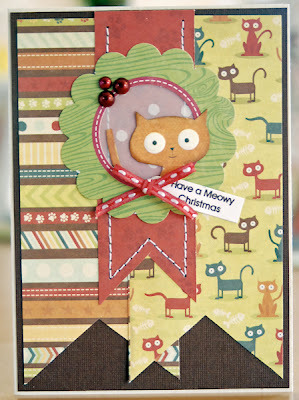 I created this sweet card for CARDS magazine style challenge for the upcoming December issue. It didn't get picked up but that's OK. It gives me something to share with you today and a card that's perfect to give to Alexa. 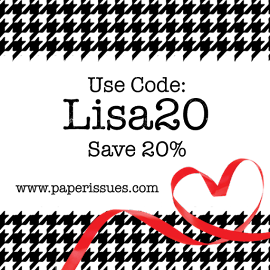 :) If you make holiday cards, when do you get started? This is ADORABLE!! I loveeeeeeeeee the little cat and love love love love the pennants!!!! very cute Lisa!! Love the flags!! This made me smile. Super cute! I love the way you overlap pennants. well, that is just so cute! 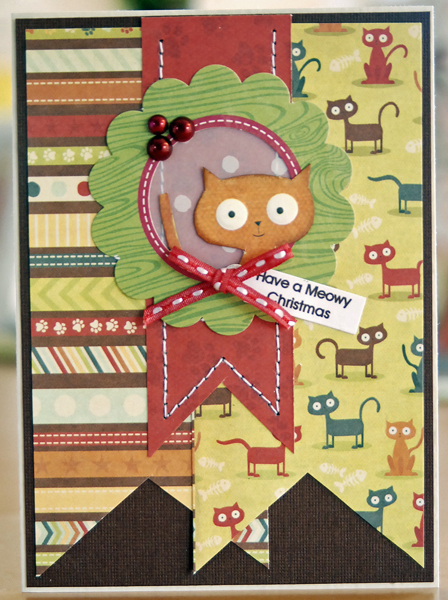 Very cute card - for all the cat lovers.